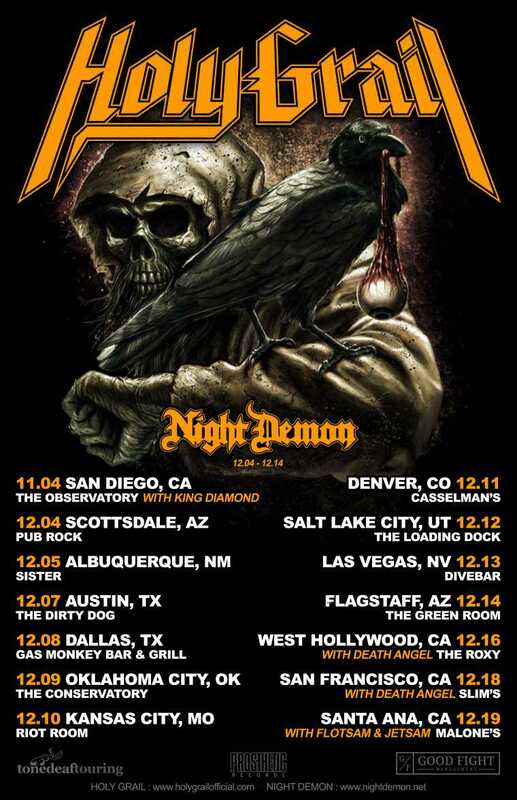 HOLY GRAIL is pleased to announce their upcoming headline mini-tour of the western United States with support from Night Demon, with dates as posted. 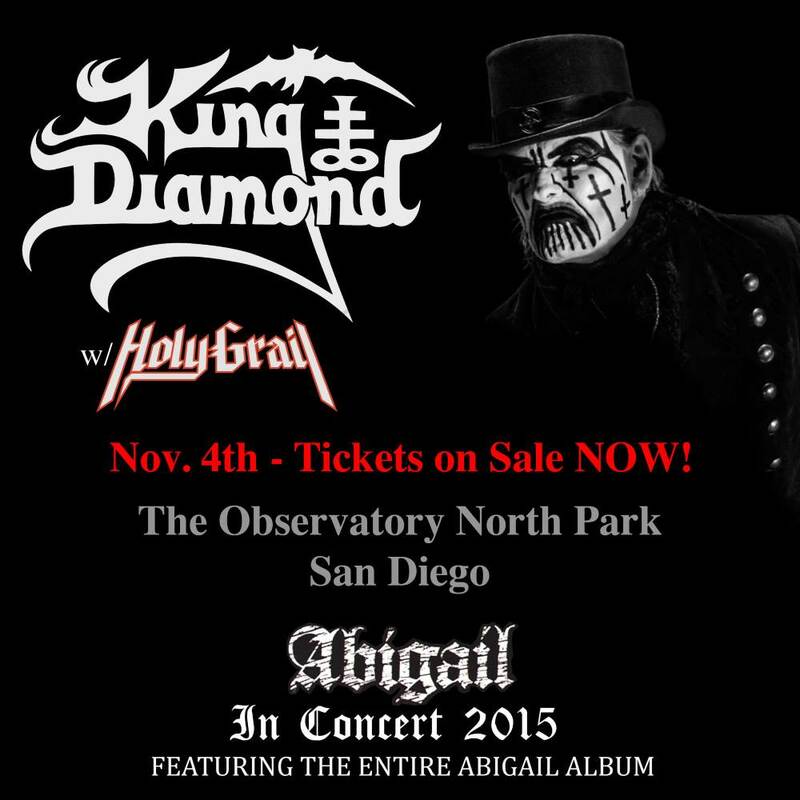 Holy Grail will also support King Diamond in San Diego on Nov. 4th, 2015 at The Observatory, whom will be performing Abigail in its entirety. Holy Grail will also Support Death Angel on Dec. 16th at The Roxy Hollywood, and Dec. 18th at Slim's San Francisco.